SOLE AGENCY. UNIQUE OPPORTUNITY TO BUY INTO A DESIRABLE FRONT LINE GOLF COUNTRY CLUB. 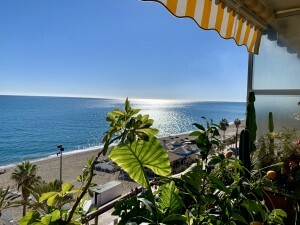 Andersen Fox are delighted to be able to offer a selection of 1 and 2 bedroom apartments in a sought after location, front line to Mijas Golf. Mijas Golf boasts 2 highly regarded 18 hole courses, one of which has just been reconstructed and a lovely clubhouse. These spacious apartments offer either panoramic mountain views, or open golf and mountain views. All of the apartments are in immaculate condition. Some units have been modernised further and there is also an option to purchase an interior design package for an additional 15,000? which provides the ultimate in luxury living and designer flair. Featured is the show apartment illustrating the designer pack. Please follow the links below to the other types of units that are available. The standard 2 bedroom units consist of entrance hall, spacious lounge/diner with access to a large terrace, fully fitted quality kitchen, master bedroom with en suite, family bathroom and further double bedroom. 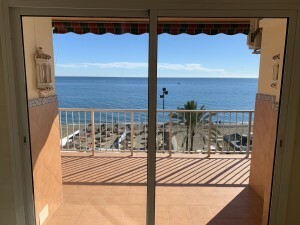 The penthouse apartments are of the same distribution, but, in addition, boast a huge roof solarium for private use accessed by both internal and external stairs. The one bedroom apartments are exceptionally spacious offering a large lounge/diner, separate,fully fitted kitchen, family bathroom and large double bedroom with additional en suite. These units vary in size and layout and are larger than most 2 bedroom apartments! ADDITIONAL FEATURES included air conditioning, hot/cold, marble floors, double glazing and secure underground and community surface parking. 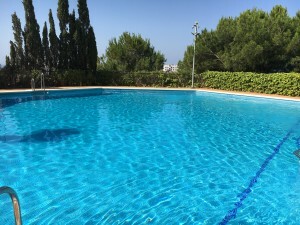 The ON SITE FACILITIES are truly amazing including outdoor lagoon pool with children´s pool, heated indoor pool, gym, pool bar and restaurant, highly regarded restaurant and delightful community gardens. 24 hour security, and porterage service and spa facilities available at an extra charge. Local bus service. Prices for the one bedroom units start at 125.000? for the standard 2 bedroom units at 175.000? and for the 2 bedroom penthouses at 190.000?.These units are going to be in demand. Please contact us for a tour of the complex and properties.